Want to become a firefighter but not sure where to begin? JobTestPrep is here to help you on your journey. Preparing for your firefighter aptitude exam is a great first step. JobTestPrep offers you online practice tests and sample questions so that you pass your exam with ease on your way to becoming a firefighter. Becoming a firefighter can be a long and intensive process. Learning everything there is to know about the recruitment process will help you succeed on your way toward becoming a firefighter. One of the first steps of the firefighter recruitment process is taking an exam. This exam is usually comprised of two parts: a written exam and a physical exam. The firefighter aptitude exam tests basic abilities, such as reading comprehension, math, grammar, and spelling. It also has components that relate to the job, such as memory and spatial orientation. Learn more about the firefighter written test. We customize our practice resources to echo the concepts of each of the leading firefighter test providers. These providers collaborate with US fire departments to design their testing and selection processes. Here's a list of popular firefighter assessment companies that provide selection tests. Follow the links to review JobTestPrep's customized preparation packs. We can prepare you for the popular firefighter exams in the United States that are provided by assessment companies, as well as for local exams, with our practice packs. 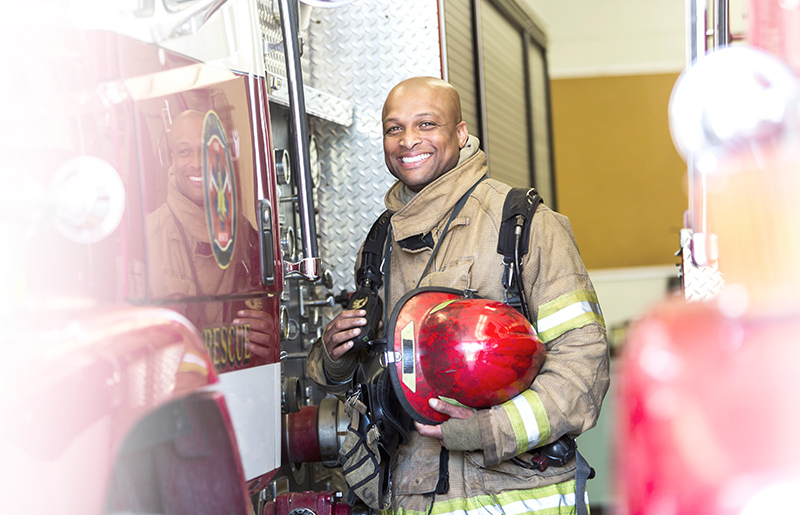 We offer firefighter practice tests and personality practice tests. These help you to become familiar with and ultimately excel on the exam. Before you start preparing for the firefighter exam, try our free sample questions to familiarize yourself with the types of questions you will encounter. We provide sample questions for six different sections commonly found on the exam: memory, reading comprehension, math, writing skills, spatial reasoning, and mechanical reasoning. Each state or city/department may choose its own exam or select an exam provided by an assessment company. Because different states can choose exams produced by various assessment companies, firefighter tests may be the same in different states. If interested in becoming a firefighter in Canada, learn more about the firefighter exams here. Find out which firefighter written exam your state uses. Firefighters that fall under the civil servant category are employed by a municipality, state, or federal government department. Some may be employed by private firms or non-governmental agencies, but most positions are part of the firefighter civil service, requiring potential candidates to take and pass the civil service firefighter exam. Prepare with our firefighter civil service exam practice test. The firefighter exam is just one element of the process to become a firefighter. Before taking the exam and submitting an application, you must meet certain requirements. If you meet all of the requirements, you can then start to prepare for the firefighter recruitment process. Another major part of the recruitment process is the personality test. Prepare for the firefighter personality exam here. If you haven't found what you are looking for, please fill out this form to let us know which specific firefighter exam you are interested in taking.